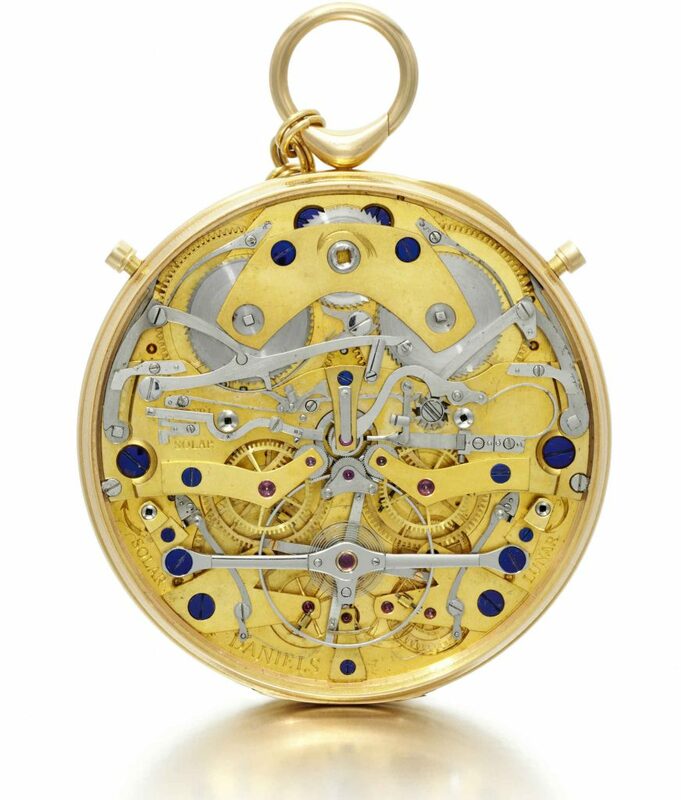 As many people know by now next week – Wednesday 19 September – Sotheby’s will auction timepieces by George Daniels. Of the four lots on sale three – a Mahogany Two Day Marine Chronometer made in 1952, a replica Breguet Three Wheel clock (1968) and the star of the show Space Traveller II from 1982 are all by George’s hand. The fourth, a yellow gold Millennium Watch (1999) is the work of Roger Smith although he faithfully adhered to George’s instructions. Space Traveller II has garnered most of the media attention and deservedly so as the watch is the work of a genius at the height of his powers. George conceived a complicated watch with a beautiful, simple design a accomplishment that evades many of today’s watch designers even with the larger dials on wristwatches. The dial is easy to read and a pleasure to behold despite providing a wealth of information – mean solar time, sidereal time, equation of time, phases of the moon, age of the moon, continuous seconds and chronograph seconds. As usual George’s guilloché work is extraordinary while the placement of the silver chapter rings and the proportions of the blued steel and the gold hands display perfect symmetry something he always strived for and always achieved. On this dial as with other dials by George your eye is never confused, you never wonder what you should be looking at. In fact your eyes take in all the functions of this watch – with a single glance. Beyond that the dial does something else – it provides an introduction to the movement. Even if you have only a rudimentary knowledge of mechanical watches you immediately sense that something complex exists underneath the dial. Opening the back of the watch reveals the complexity of the movement but as with the dial George again achieves elegance, harmony and symmetry. Partly this is a matter of proportion – the size of the screws that secure plates, bridges and springs are never too big or too small. George made screws that are just the right size for the component they fasten down. The same aesthetic considerations apply to the other movement components. Another factor contributing the beauty of the movement is the visual harmony of George’s colours. The gilded brass is uniformly of a straw like hue. Steel components are grey, rubies luscious purple and the blued screws are…I have never been able to pinpoint George’s blue on the pantone scale. Are they cobalt blue, Prussian blue, ultramarine, indigo? Maybe we need a new colour, Daniels Blue? The real point is that for George gilding and bluing were not only practical methods for delivering stronger and longer lasting components they were also ways of enhancing the movement’s harmony and beauty. Space Traveller II reveals another aspect of George’s approach to movement construction: the pleasure of watching the movement in action. When the watch is ticking it is possible to see wheels turn, pinions rotate, springs tense and relax, the balance wheel swing while the balance spring expands and contract. The movement in action shows the progress of energy through the watch. I think of this progress of energy from winding wheel to escapement as a narrative. On Space Traveller II the narrative develops subplots when the chronograph and its wheels kick into action. As a watch geek I am particularly susceptible to the charms of watch movements and I believe more people would fall under the spell of mechanical watches if they saw movements in action. Human beings find movement fascinating – just think of DaVinci’s drawings of flowing water. Another feature of Space Traveller II that displays George’s beliefs about watch design concerns the bow. George made this watch and many of his other pocket watches key wound because he disliked crowns and pendants. To him crowns and pendants lacked elegance and proportion upsetting the harmony and symmetry he desired. The graceful, slightly egg-shaped bow on Space Traveller II seems entirely natural, or as we might say today: organic. Which brings me to my final point about George’s watchmaking. A frequent expression of George’s was ‘A watch should look created not hand made.’ These meant two things for George. First, the act of making should leave no trace no evidence of the work of a human hand just as a tree displays nothing of the process of growth and development. The second point is again about the ideas symmetry, proportion and harmony. The branches of a tree, George would say, are thickest next to the trunk supporting the further growth of the branch. The trunk is thickest where it meets the ground and thinnest at the top of the tree. For George trees always looked natural and right. The same is true of Space Traveller II. My abiding memory of Space Traveller II is more prosaic then any musings on the aesthetics of the watch. Whenever I stayed with George we ate breakfast in the kitchen at Riversdale – eggs, bacon and toast with innumerable cups of tea all prepared by one of his carers. If George was feeling expansive, which was usually the case, before breakfast he sent me downstairs to his vault where he kept his watch collection with instructions to return with a few timepieces. ‘Michael, he would say, ‘today I want you to return to table with two Breguets, an Arnold and why don’t you select a Daniels while you’re down there.’ I did as George ordered and carried the watches back to the kitchen on a tray, which I placed on his long kitchen table. George’s hands switched seamlessly from manoeuvring his knife and fork to opening the watches. Sometimes he would expound on a watch and its maker and other times he asked me to talk about the watch when necessary filling in the gaps in my knowledge which were (and are) immense. I greatly appreciated these lectures and tests considering them my post-graduate studies in horology. I will never forget cradling in both hands Space Traveller II, one of the greatest watches ever made and that sold for $2.125,757, a few inches above my eggs, bacon and the melting butter on my toast. Unlike Space Traveller II a creation of George’s maturity the Two Day Marine Chronometer is a product of his youth. 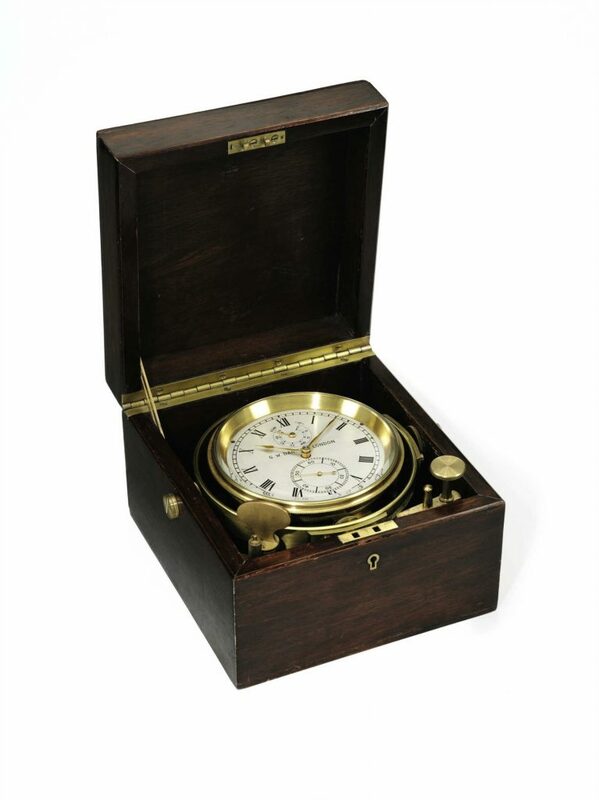 Only 26 when he approached Thomas Mercer of the famous marine chronometer firm asking to buy the necessary parts. Mercer agreed even though he doubted George’s ability to complete the timepiece. I like thinking about George riding his motorcycle from his home in South London to Mercer’s factory in St Albans all the while excited about what awaited him at his destination. Then returning home in a great hurry to start work. To make the chronometer, in true Daniels fashion he improvised, forging the components for the detent escapement on the coal-burning fireplace in his rented room. The wooden box that houses the timepiece George fashioned from a Victorian sideboard he found in a second hand furniture shop. Beaming with satisfaction George returned to the factory after only a few months with the finished chronometer. An astonished Mercer confessed he thought he’d never see George or his motorcycle again. 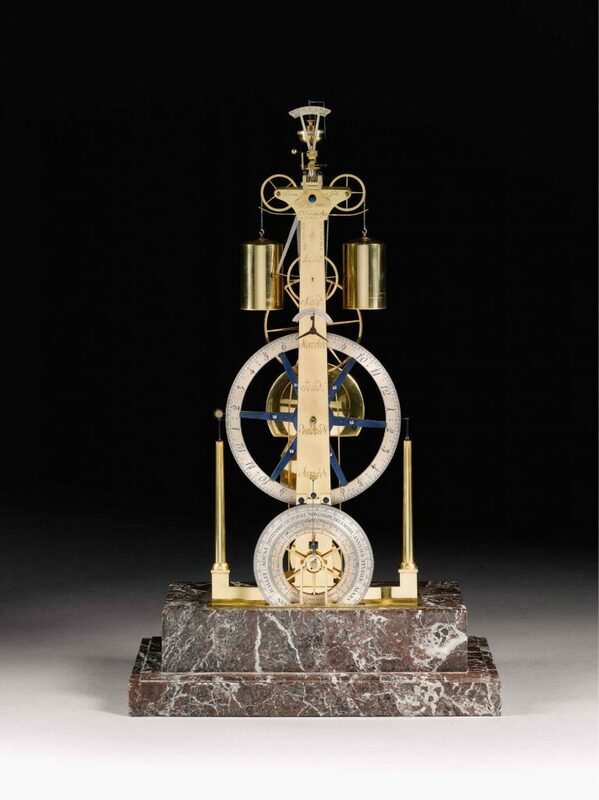 The Breguet Three Wheel Clock is also illustrative of George’s habits. To build the clock George immersed himself in Breguet’s work not allowing his own beliefs to influence what he was doing. This was not an easy task for someone with as powerful a personality as George. But, to his mind total immersion was the way to master a subject. The end result of this clock adventure and of restoration Breguet watches was George’s complete mastery of Breguet’s thought, his approach to design and the practices of his workshop. This store of knowledge and experience helped George to in his own words ‘surpass the work’ of the master. 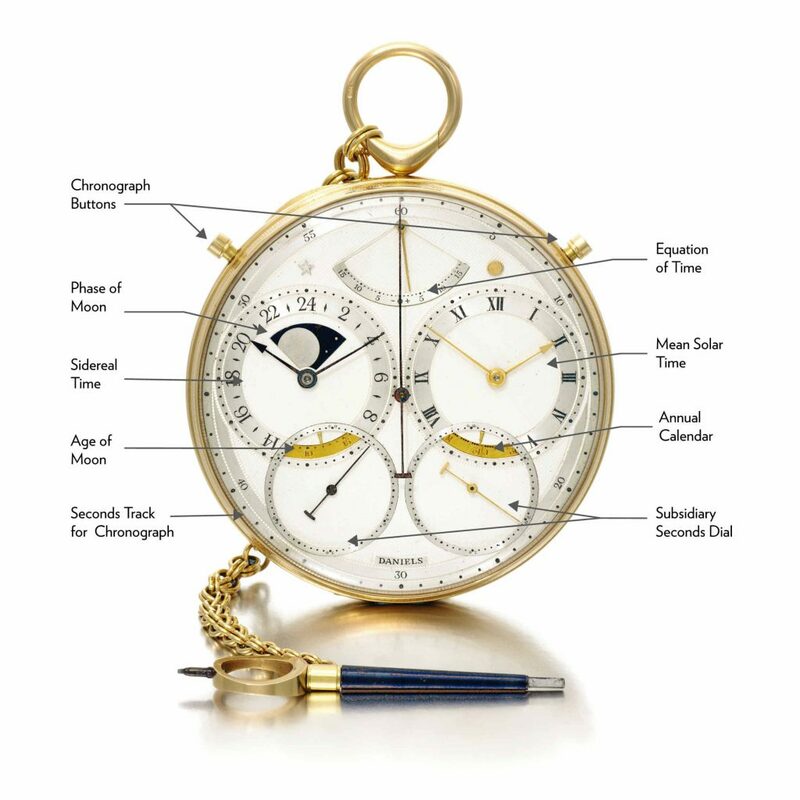 This first time these items were auctioned in 2012 the clock sold for $347,426 while the chronometer fetched $39,980. At a time when watches from famous brands reach unprecedented heights in auction rooms will the work of a genius working alone perform a similar feat? If not the only sensible conclusion is – the market is not always right.